Sold off my Mk2 Consul last year, as despite it being a 4 seater it's not family friendly, no child locks, no rear belts, knackered old bench seats etc, fun for me, less so for them. Been on the look out for a V8 Capri. Always wanted one, loved Capri's for years and it fit the bill, can travel four up, no rear door for little hands to open and later models had rear seat belts. they're big enough to take a V8 without complete reconstruction of the whole car, suspension etc is available off the shelf and cheap to buy / upgrade and importantly I worked out a way of doing what I want and staying within 8 points. I'm not interested in pinto's, zetec's or wheezy 2.8's, so it had to be a V8 . 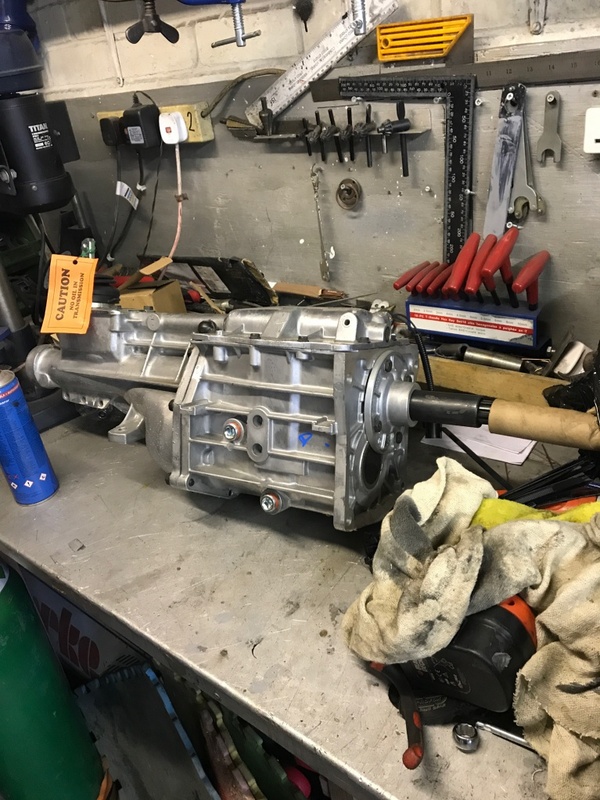 I'm done with Rover's, higher parts costs, same machining costs, poor choice of gearbox and physically quite a big engine for swaps, so ideally it was a 302.
motor is recon, has 4 bolt main, std crank, 30 thou over, hypereutectic flattop pistons, GM Vortec heads, solid tappet high lift cam c 276 duration, Edelbrock intake etc. It's about 9.8-1 CR, and should make 380bhp and similar torque. I don't really like a 3 speed auto on the road, I want this to keep up with modern driving on the motorways at 70-80mph and not be a chore to go long distance in, so I needed a 5 speed box. I don't want to cut the tunnel or bulkhead to keep the 8 points and avoid BIVA, so a T5 was a natural fit, they're small, compact and light and I know it'll fit as they go in behind Cossie YB motors without any alternation. Next up was how to adapt the two, the internet turned up an adapter plate in the US Transmission Adapter - Ford pattern T5 to Chevrolet Muncie Bell Housing - Hot Rod Works It's expensive but when I worked material and machine cost to replicate it, it wasn't far off. This didn't bolt straight up, the adapter was meant for a smaller bearing retainer, so I turned down the Ford retainer to fit and it's all good. I want a hydraulic clutch but have yet to decide whether I want a concentric or slave / arm set up. 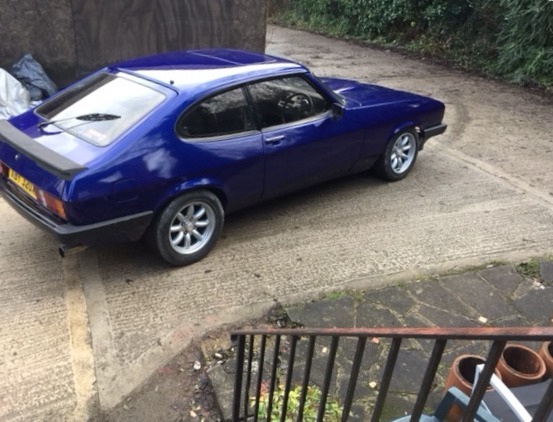 Having forked out on a motor and box, I needed a Capri and what an ordeal that was. Capri's are next in line for the classic ford price boom and it's started already. I was being offered patched up **** boxes for £5k. I even travelled up to Darlington to see one which looked to be a go'er only to find the bodywork in **** order, rust filled over and painted with bubble, roof had been run over etc. So the whole project was on hold until I found something and thanks to Turnover's PM on here, I was alerted to a Capri on Eurodragster which already had a SBC in it. It also had Compomotive ML's, Capri sport Big Brakes, Atlas LSD, engine and trans mounts, exhaust, rad, hydraulic clutch pedal, and already set up for the chevy. It had recent rust issues sorted and had been repainted, albeit in a dusty garage so the whole car needs de-nibbing and polishing. The rest of the bit I have in the parts bin or can make. 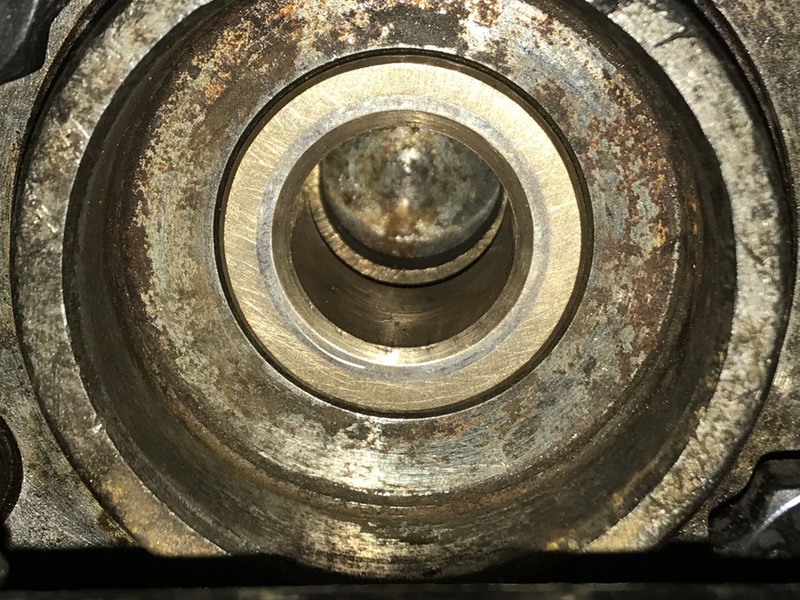 Next steps are to turn up a pilot bearing and make a decision on the release bearing set up. Last edited by WB54; 17-01-2018 at 09:33. Cheers Jim, "the plan" is half the problem, can't sleep at night for planning..., popped into the garage last night and did a bit on the lathe, came back in and it was 12.15am.....really must get a clock in the garage ! My friend on here CougarV8 built one before he bought the Cougar, how I laughed at the "gutless" 3.0 Cosworth V6 when we went to York to race....but,I would kill for that car today now i've taken up a bit of track racing. I look back now and the thing was a nice bit of kit. M5 brakes, 16" Minilites, full cage, nice seats etc, he yanked the cossie out and put a 351 Cleveland in it, then broke it up after it was finished and sold it all. 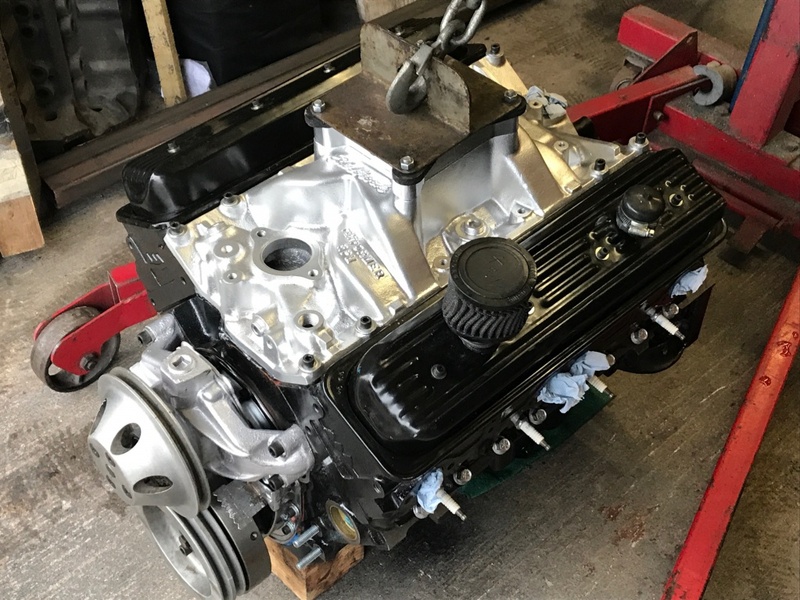 The BOB/BOA engines are probably the best engine for a Mk3 They virtually bolt in, Cosworth developed, ECU / Injected and put out 180-190bhp, if Ford hadn't dropped it, this motor would have made a cracking basis for a Mk4. I did look at this route but as fun as 190bhp would be initially, you'd get used to it quite quickly and there's no substitution for V8 grunt. little lathe job last night to move this on. Needed a custom pilot bushing to fit Chevy crank at 1.094” and the mustang input of 0.667. Managed to turn the OD bang on and reamed the ID to a 0.004” running clearance. A small but satisfying job as my little lathe ain’t the best.